You didn’t think we had forgotten, did you? 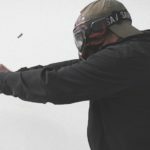 It’s been a while since we first released the results of our big ballistic gelatin test of over 100 handgun self-defense loads. Like we said at the time, this project is ongoing, and we plan to add to it periodically. Today we’ve got the first update with the results of 29 additional loads that we tested. Check out the video below for a summary of the new tests and then head on over to the original results page at Lucky Gunner Labs to see the full results. Back in the fall, we rolled out the results of our massive ballistic gelatin tests. We tested, I think it was 117 different self-defense handgun loads. We put all that data together in an interactive chart with photos and high-speed video from every load we tested. That is all available at LuckyGunner.com/Labs. I told you guys back then that we would be doing more ballistic testing and today we are making good on that promise. We just added another 29 loads to that existing data. We filled in some of the gaps where we had skipped over a few popular loads in the first four calibers we tested which were .380, 9mm, .40S&W, and .45 ACP. If you go to that original post, we’ve marked the new loads on the existing chart so you can find them easily, and there’s also a full list of the new loads at the top of that post. But we didn’t just do law enforcement ammo. There are plenty of commercial loads in there, too. And overall, this was a pretty interesting batch of ammo to test. Some of the loads that we expected to do well ended up being pretty disappointing and then there were a few loads that had just devastating performance. One of the big let downs was the Federal HST in .380. Normally HST ammo is really impressive, but the .380 load just completely failed to expand with all five shots. On the other end of the spectrum, the Winchester Ranger T-Series in .45 ACP was amazing. Both the standard pressure and +P loads had an average expanded diameter of a full inch with good penetration. I like to see a self-defense load expand to at least 150% of its original diameter but both of these were over 200%, and that’s well above anything else we’ve tested so far. There were some good 9mm and .40 S&W loads in there too, so be sure you go check out all of those results at Lucky Gunner Labs. A couple of quick reminders while you’re looking at these results — we did all of our testing with short barreled pistols that we think are representative of the kind of guns most people are carrying. That means that a lot of these loads did not have enough barrel to get up to the kind of velocities that they’re designed for. So if you see a load that you know has a good reputation but it didn’t do very well in our tests, keep in mind that could be because of the barrel length. If we ran the same test with a full service-size pistol, the results could be drastically different. 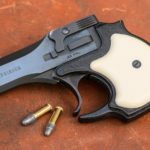 But if you’re carrying a small pistol with a shorter barrel like a lot of people are these days, you’ve just got to be a little more careful about your load selection if you want to get a bullet that’s going to expand at that slightly slower velocity. Also, don’t forget to keep these kinds of tests in perspective. Ballistic gelatin is really useful for seeing how bullets might behave in the real world, but there are other factors to consider. You have to make sure the load works in your gun, that it’s accurate, and that it hits where your sights are aligned. And above all, your ability to run the gun well under pressure is going to make a much bigger difference than your ammo choice in any actual use of force encounter. There are no magic bullets, and handguns are really just not all that great at stopping determined attackers to begin with. Just assume that you’re going to need multiple hits in rapid succession with surgical accuracy in order to solve the problem no matter what bullet or caliber or gun you’re using. So train accordingly. A lot of you guys have asked about testing non-expanding ammo like the LeHigh Defense X-Treme Penetrator and the Polycase/Ruger ARX ammo. I’m not necessarily saying those loads don’t work, but we can’t really use the Clear Ballistics gel blocks to test them. 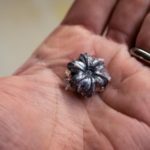 The companies that make these bullets claim that their special shape will cause rapid tissue displacement and create the sort of massive wound cavity that we’re used to seeing with high-velocity rifle ammo. So to test whether this is true, we would have to have some way to measure either the temporary or permanent wound cavity in the gelatin. The problem with Clear Ballistics is that it has more elastic properties than the organic-based ordnance gelatin that has more traditionally been used for ballistic testing by the FBI and other law enforcement agencies. That means even though we can use it to get pretty accurate results for bullet expansion and penetration, any of the stretching or tearing that we observe in the wound channel of the clear gel is not necessarily accurate. We could mix up some FBI ordnance gel and test these loads, and we might do that some day, but that still would not give us any data that we can directly compare to the tests we’ve already done. So for now at least, we are skipping over those non-expanding loads. I think you might be more interested to know what calibers we’re testing next. The plan right now is to jump right into .38 special and .357 magnum. We’re going to release all those results all at once, hopefully by the end of 2016 (but I’m not making any promises). And then next year we’re going to test .357 Sig and 10mm. So be on the lookout for that and in the meantime, be sure to check out the latest test results at Lucky Gunner Labs. Is 10mm a Viable Self-Defense Caliber?